This is a very rare opportunity to get this truly limited PEANUTS collectible! The year 1990 marked the 40th anniversary of “Peanuts.” To honor Charles M. Schulz (known to many as Sparky) and the Peanuts gang at this special time, an exhibit at the Louvre museum (in Paris) was created called “Snoopy in Fashion.” It featured 300 Snoopy and BELLE plush dolls dressed in fashions created by more than 15 world famous designers. Here’s a photo of Sparky at the event at the Louvre. This exhibit marked the <strong>only time that an American comic strip artist was honored with a retrospective at the Louvre</strong> and was a smash hit. It is considered one of the major milestones of Sparky’s career. The poster features Sparky himself along with your favorite Peanuts characters. It is 25 inches by 38 inches. Please note that the poster is in great condition and is unframed. It has been lying in cool, dark storage since 1990. This poster is extremely hard to find and usually goes for a lot more than we are charging. Don’t miss this unique opportunity to get an extremely collectible Peanuts item at a great price! Here is the same poster on Amazon for $325. Not only is this item rare, it makes an excellent investment. 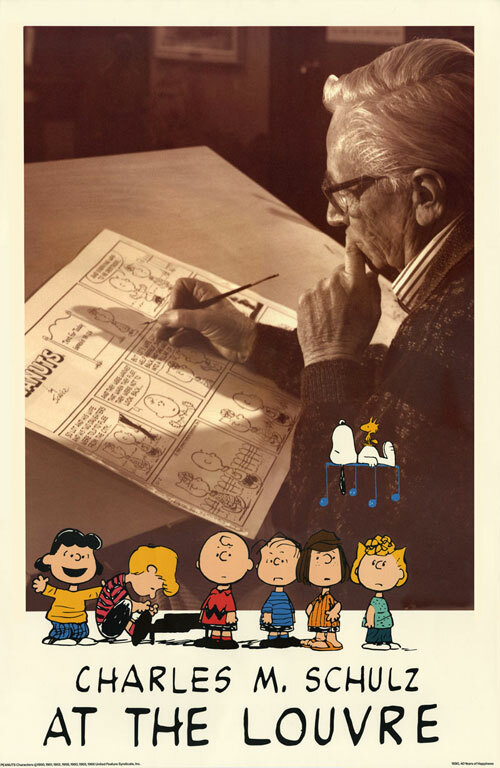 Original artwork by Charles Schulz is currently among the most collectible material in the comic industry – individual strips sell for $25-$50,000 each! Frank Cho’s Jungle Girl v2 #4 – Page 3 – Original Art by Adriano Batista! Frank Cho’s Jungle Girl v2 #4 – Page 1 – Original Art by Adriano Batista!